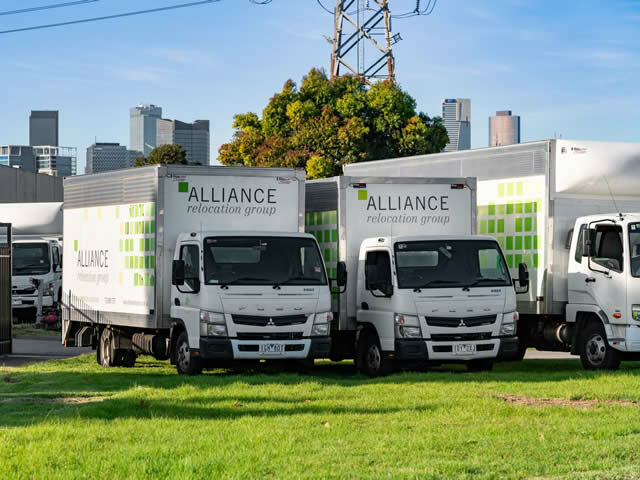 ALLIANCE RELOCATION GROUP commenced operations in 1983 and offer strategic removal services on a national basis. We have a long and proud history in the commercial relocation and storage industry. Consistent with our mission "to exceed client expectations", we are a company with an enviable record in a most competitive environment, who now lead in the field of relocation services for government, commerce and industry. Our convenient location on the city fringe in all capital cities, with immediate access to the central Business District, enables ALLIANCE to provide clients and prospective clients fast and efficient service. This approach has led to many successful relationships with several large corporations lately including NAB, United Group Services, Bovis Lendlease, Blue Scope Steel, and Australia Post. Several of the staff with Alliance today have been with us for over 25 years. This retention rate which is double industry standard is an obvious result of our commitment to our staff and is line with our many flexible benefits that we offer. The devotion, experience, and enthusiasm of our people is the driving force behind the quality associated with Alliance, and one reason why we continually exceed client expectations. It's this experience, along with our unique methodology and specialist equipment which adds value to every relocation we perform. You will get a seamless and stress-free process every time. Commercial relocations are a specialised field, and a successful office move requires planning, knowledge and experience. Alliance Relocation Group has a dedicated Office Relocation crew, and members of this crew have been inducted into most buildings and have red card (OH&S) training. We specialise in providing seamless, secure and stress-free office relocations that ensure minimum disruption to you, the client. In today's competitive and volatile business environment, we meet ever-evolving business priorities - such as security considerations, data protection, uninterrupted IT infrastructure and minimum downtime. We respond to your needs on demand and we specialise in providing a seamless, secure and stress-free service that ensures minimum disruption to you and your employees. Our current customer base also includes corporate, government, financial, legal and small to medium enterprises. This selected body of work demonstrates our continuing ability to successfully complete relocation and storage projects of various types and for clients with unique and specific needs. These needs encompass the strict OH&S requirements of Work Cover, the security considerations for the County Court and Department of Justice, and the scale of a project such as 2000 NAB Staff. Additionally, our experience with government departments is arguably unparalleled as we are a preferred supplier with the Transport Accident Commission, Work Cover and the Victorian Civil and Administrative Tribunal (VCAT), where we recently sequentially relocated 54 lineal kilometres of books.